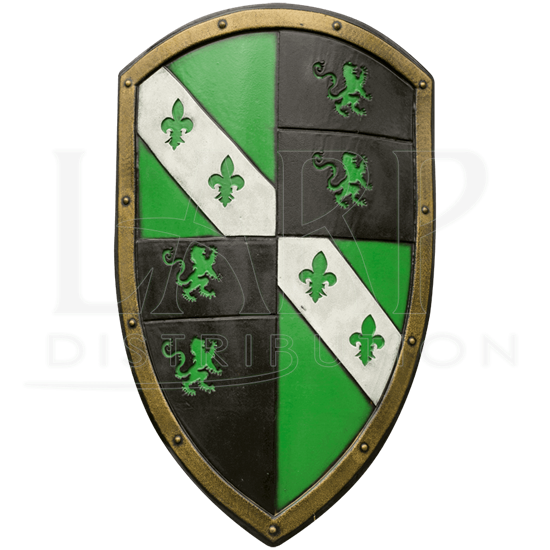 Worthy of any honorable, knight, the Green Lion LARP Shield is a fantastic defense to carry into battle at your next medieval live action roleplay event. Its regal, laser-cut heraldry pattern features rampant lions and fleur de lis. Made of sturdy EVA foam at its core and covered with strong latex, this LARP shield is designed for safety and resiliency. 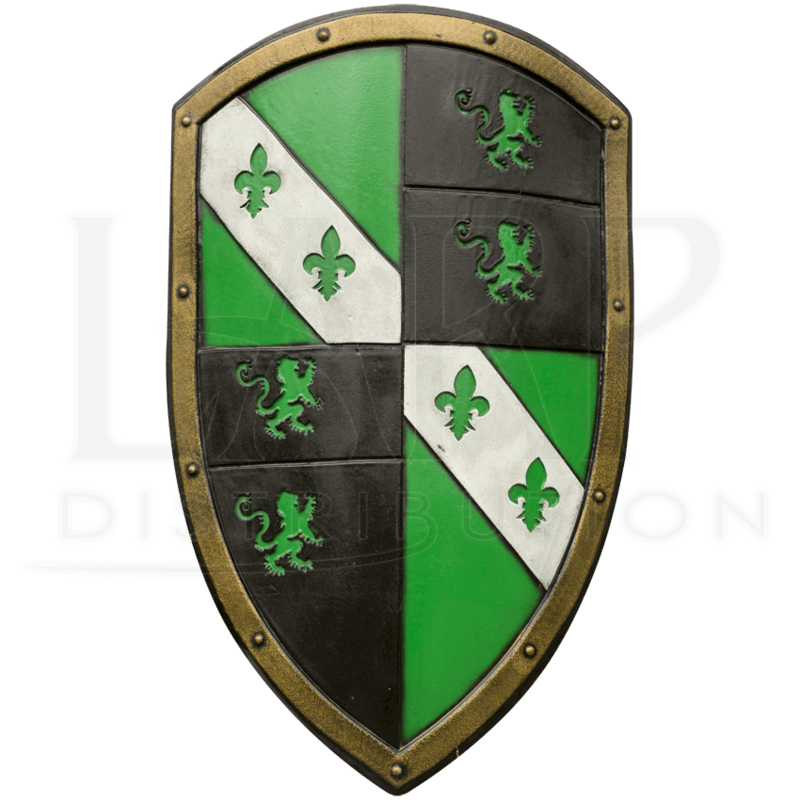 Hand painted to resemble a lacquered shield with a metal rim, this quality LARP shield may feature slight variations in its appearance. Three sets of adjustable arm straps on the back allow the wielder to wear it either right- or left-handed, making it a versatile and reliable defense during your next skirmish.